Is it time to change for the better? Jack Canfield, co-creator of Chicken Soup for the Soul Enterprises, built his $80 million business from nothing. 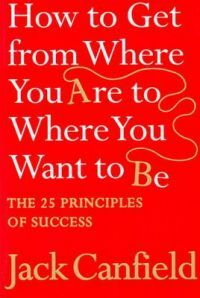 He attributes his success to the 25 core principles he shares in this book. Start applying them to life and you can a achieve whatever you want too.Canfield insights are clear, simple and extremely powerful. They will help you turn around every area of your life - at work, in your finances, socially or at home. An Economics professor, Aarti Katoch Pathak has had many avatars over the past decade: an IT professional, an avid traveller, and even teaching school children poetry and dance in Africa. However, her abiding passion (besides her two children), continues to be writing and exploring her literary skills. Her wonderful journey has led her from being published in various magazines and in many of the Chicken Soup for the Indian Soul titles to finally, this, compiling a Chicken Soup for the Indian Soul book! She looks forward to more. Jack Canfield and Mark Victor Hansen, #1 New York Times bestselling co-authors, are professional speakers who have dedicated their lives to enhancing the personal and professional development of othe They are co-authors of several New York Times bestsellers, including Chicken Soup for the Soul, Chicken Soup for the Woman's Soul and Chicken Soup for the Teenage Soul.